From 40,000 to 1411 , no I am not talking about story of dinosaurs extinction. I am talking about the Royal Indian Bengal Tigers . In 1973 , when India launched ‘Project Tiger’ to save the dwindling population of the tigers , then at that time they could never imagine that their efforts are just wastage because even after more than 30 years of declaring the Tiger as India’s National Animal the life of such a precious treasure of our country is still in danger. 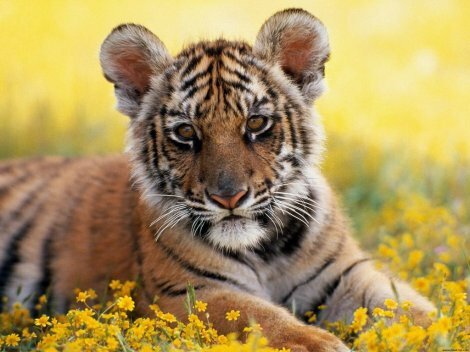 Human hunger and pleasure for hunting and poaching have lead to such a vulnerable situation of the Tigers that the value is still decreasing. 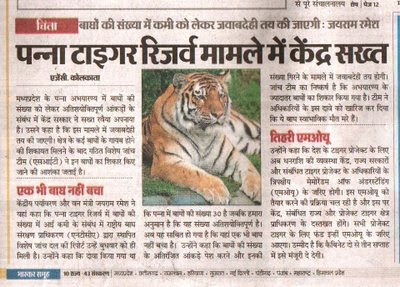 Even the government is not doing enough efforts to save our tigers. The population is still decreasing day by day. We can’t even Imagine what type of changes it can do to our environment. Every living being , whether it is plants , animals , trees or human itself ; all of us are the part of this life cycle. All of us are essential to keep the stability of this environment. If any of these is missing from the cycle and the life cycle can become unstable. Every organism has its own importance and uniqueness. Tigers are also an important part of this cycle. Tigers are basically carnivorous( Flesh Eaters). That is they hunt on other animals for their survival ( mostly animal not on humans) . So population actually controls the population of other animals which may be carnivorous or herbivorous. 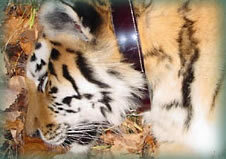 Lets suppose that we remove tigers from this life cycle. They the population of the herbivorous animals will start increasing coz their is nobody to hunt on them , which ultimately lead to decrease in plant and trees because now more and more animals will feed on plants and their population will became double and triple year by year. Thus it will ultimately lead to decrease in the plants. And all of you knows what can happen if their is no trees and plants on this planet. Thus you can what can happen if we just remove one component of the life cycle. Although the process is slow , but it is dangerous and harsh . Human is also an animal , a Social animal. He is also a part of this cycle. Any change in life cycle will also gonna affect him. But this social feeling in the human has made him so self centered that he only thinks of himself . His Looks , Personality , Hobbies everything . If he thinks that he will wear tiger’s skin he will look like a king , then he will definitely do it. But he doesn’t know , a man is king from his heart and thoughts not from his looks. Even a coward can become a king after wearing this and fake others. Most importantly their is no need to wear such dead stuffs if their are a lot of varieties available in the market which are pure and attractive. But still Tiger skin has a lot of demand in the market. Specially women , are more concerned about their dresses and costumes ends up wearing such inhuman and anti natural stuffs. Some of them use it as a wall hanging to show everyone that they are Royals. But nobody thinks it actually requires to Kill an innocent animal just for some little show off. End is never predeclared it can only be predicted. Maybe we are trying to say that this animal is going to the extinction. But that doesn’t mean that only this this animal will extinct. Anything can turn out of control when it comes to nature. If we can lead this animal to extinct then remember God can also declared our dates also. and we humans can’t even change it with all our powers. We have some limited powers and we should know how to use it in positive and conservative way. We need to protect this animal , not to leave it helpless when it needs our hands. Our hands are needed to be raised for help not to kill. If you are confused that how you can help saving an animals who is living 1000 miles away from you in a jungle then just think , poachers are killing tigers just for its skin because it has got a lot of demand in international market. But demand is from you only. You are responsibly for demand. If you avoid such things then definitely demand will decrease and it will affect those poachers. Moreover government is need to make such a strict rules that no one will even dare to touch this animal. This is the time when they needs us and we really need to help them. I am personally against any type of cruelty to animals and I also hate wearing furs and skins. But I think if i share my feelings then it would definitely help. Thats what I have done and now its your time to act. Today, I posted my second entry on saving the tiger "Tiger Bachao via social networking". 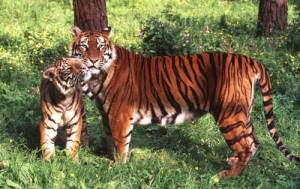 The Tiger count in the country was estimated about 3500-5000 (Approx). But after the 2007 Census, a mere 1500 wild cats roam free in India.. 1411 to be more precise..
Every one had a different view on people involved in Poaching. Some felt it is the correct punishment but some on the other hand felt that poachers should be fed to the Tigers . I personally feel that people involved in poaching should be hanged. But sometime, I feel that Tigers should also be given a chance to deal with these killers the way they want. Not just feeding them but throwing them to hungry predators. But I know this is next to impossible. According to the official figures the population rose from 3508 in 1997 to 3642 in 2002. But in 2008 there is a fall of 60%. 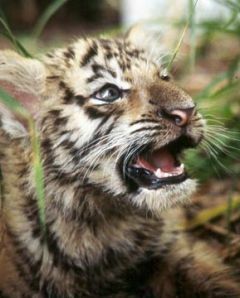 The figures of 2007 shows that only 1411 Tigers are left in the country known as the "The Land of Tigers". There are several methods for Tiger Census "Prey Density Estimation", radio telemetry, digital photography of pugs, camera trapping method, Identification using DNA from Tiger droppings and the very famous "Pugmark Method". Camera trapping method is not practical especially where there are 1 or 2 Tigers per 100 sq. kms. This method was confined to a few major tiger habitats. The final fiure was an outcome of the new and advanced techniques used in 2007 cencus. Encroachment by humans in their natural habitat and Poaching are the prime reasons for the fall. Relocation and Resettlement is only done on papers and is never taken seriously. How long are we going to remember these figures? It is quite possible that some might think about this issue after the next census. Wouldn’t it be a little too late? A decline of 60% in a decade makes the picture very clear. There is still hope if saving tigers is taken as a priority. 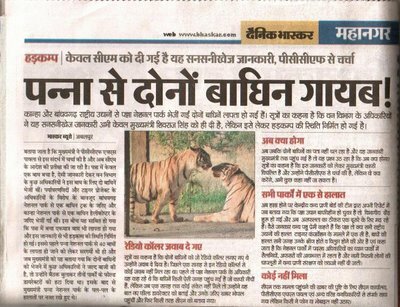 When the news channels and newspapers reported that the last living Male Tiger in Panna has moved in to some nearby jungle in search of a soul mate, I had an intuition that there was no tiger left in Panna. Then came the relocation process, Tigresses from Bandhavgarh and Kanha were airlifted and Tran located to Panna. They were radio collared and were followed for a few weeks. And since the last week, the radio collars are not answering. 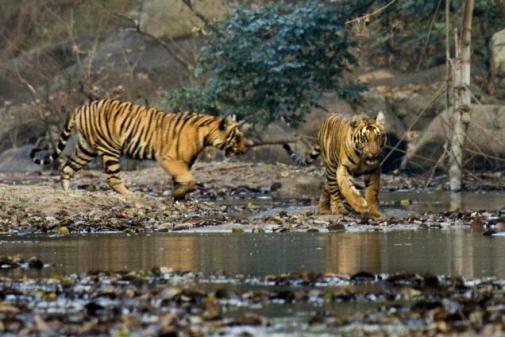 Both the tigresses of Panna are now missing. 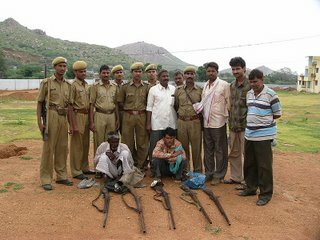 The Panna’s forest officials have been boasting about the Tiger number being 30, five years back. NOT EVEN A SINGLE TIGER IS PRESENT IN PANNA TODAY. The report sent to the Chief Minister of the State clearly confirms the inability of the staff at Panna. If we are to believe that Forest people, then Panna has lost over 30 Tigers in the last five years. Panna has even lost the two BORROWED Tigresses. The sweep was the last alarm for Panna. Does it have any hope now.. ?? clearly tells the story of the diminishing pugmarks. Everyone here has a story to tell about the tiger, but no one has seen him since years. The King is gone………… Where.. ?? This is not the story of only one park in our country. Everywhere it’s the same. A Tiger goes missing, the local forest officials report the matter and send their report about the missing tiger, the govt. constitutes a team for the investigation, Investigations are held, but none of the poachers are arrested or no staff is penalized or punished for the lazy behavior. Stories about the Tigers being electrocuted, shot and even poisoned are very common these days. And that does not even make a difference to the general public today. We have our own lives and we are busy fighting for our own needs. Nobody cares for the national animal. The decline in the number is so swift that in and around the next decade we shall be forced to choose a new national animal for the country. Tiger would then appear in magazines, postcards, stamp, documentaries and pictures. 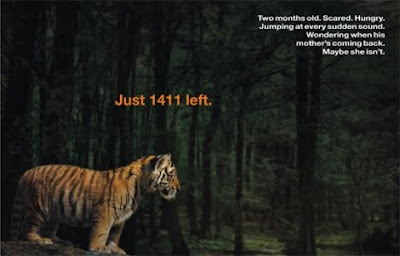 We are killing ourselves……..
NOT MORE THAN 1200 TIGERS ARE LEFT IN INDIA.. IT'S NOW OR NEVER.. !!! !